I think we all know that one person in our life that thinks they get the best deal on everything! They consider themselves the ultra-negotiator, the person salespeople hate to see coming! You know the person; they go and buy a $40,000 car and call and tell you how they got it for $27,000, and how the car dealership actually lost money on them. These are the same people that believe they can also “negotiate” their salary. There are some realities we face as HR Pros that most candidates don’t get. While we have rules and processes and salary bands, quite honestly, very little negotiation goes into any salary offer. 1. A good HR/Talent Pro will pre-close you on what you should be expecting. Go in super high and work backwards — you’ll eventually get to the ceiling. 2. Health Benefits, 401(k) match, holidays – these are all non-negotiable, unless you’re negotiating a C-suite offer. 3. Vacation days are usually negotiable, but only if you’re coming in with experience. Most entry level hires have no room to negotiate this, and if you did negotiate, as an entry level applicant, and managed to get more vacation than they originally offered, calm down — they were willing to give this already. It was a test. 4. In most positions you have a 10 percent range within a position to negotiate salary for an experienced professional. This means if they offer $60K, you can probably get $65K without much hassle. The fewer the people in a position, the easier it is to negotiate salary. The theory here is that we can hire Tim at $65K, we have Jill already hired and working at $60K, but it will only cost us $5K to move her up to that same level. Everyone’s happy. The more people in a certain position, the harder it becomes to negotiate because, using the example above, pay inequity now becomes very expensive, and “pay creep” is more of a concern when you have 200 people in a position vs. two. 5. You can raise your salary up quickly by moving around early in your career and jumping from company to company, but it won’t help you move “up” in your career. Congratulations; you’re making $95K as an engineer, but you won’t be the first choice for a manager or director position. That will go to the person who has been there for eight (8) years while you were working for four different companies. 6. 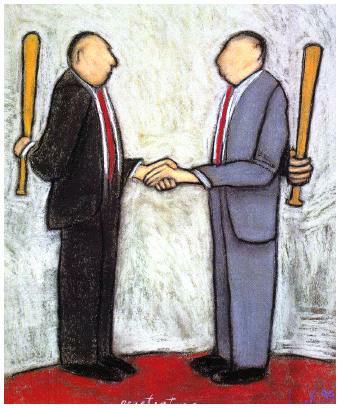 HR/Talent Pros (the good ones) expect you will negotiate something. They usually are holding something back to help seal the deal. If you don’t negotiate, you missed out an opportunity to get something and that will follow you as long as you are with that company. The $5K you left on the table initially compounds each year like bank interest. If you’re with the company 20 years, that one little $5K negotiation will cost you $100K+. 7. The best HR/Talent Pros will tell you up front if they have don’t have room to negotiate. Very rarely are they lying. Share some of your salary negotiation stories in the comments below. This was originally published on Tim Sackett’s blog, The Tim Sackett Project.